If you’re the sort that likes to get a new tablet, not for what the tablet can do right out of the box, but what you can do with the tablet with a little tweaking we have some products for you. 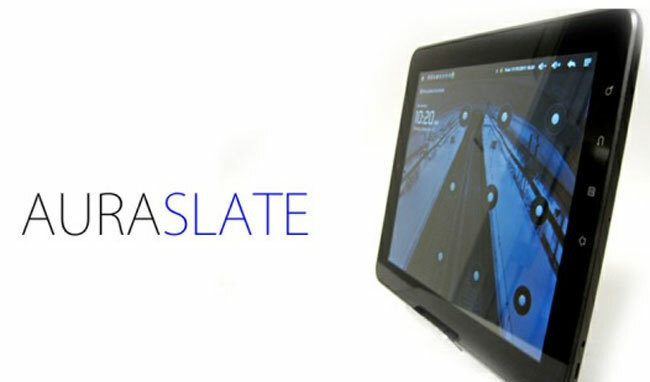 The devices are from a company called Auraslate and the two tablets that only differ in the screen size. One tablet has a 7-inch screen and the other has a 10-inch screen. Both can be had with Android 4.0 and both can be had with a disc packed with source code as well. You can’t expect tons of performance out of these tablets though because they’re running older hardware and have low purchase prices. The tablets start at about $130 for the small version and $199 for the large. The processor is and ARM Cortex A9 processor that can be overclocked to 1 GHz if desired and runs at 800 MHz default. The screens are covered with Gorilla Glass and it has 512 MB of RAM. Onboard storage is 4 GB and there is a microSD card for expansion. The tablet also has Wi-Fi and Bluetooth along with a 400 MHz embedded graphics processor.